Now, before you call up the girl who dumped you in high school and brag, make sure you have a contract that properly protects you. Most producers are honest and genuine but there are still a few sharks out there. Is the producer capable of making a movie? Good intentions are lovely but they won’t get a movie made. Before optioning the film rights to your project, access whether or not the producer is capable of making a film. If they have made films before, this is a great indication of their ability of getting your project up. If they do not have any feature film credits, do they have any television or short film credits? Also, feel free to ask them what their plan is for developing and financing the project is. If they are cagy or vague about their plan, they may not have one. And just because they have produced a business card that says they are a producer doesn’t mean they can produce a feature film. Never option the film rights to your novel for no fee whatsoever. You don’t need bucket loads of Scrooge Duck cash to swim around in for a producer to hold your films rights but they should pay something. Paying you a small fee is a clear indication that they value your work. If they cannot pay that small fee, it’s possible they may not be able to afford to put together the project at the early stages of development as that process does come at a cost (an option fee being one of them). Movies can take years to develop and finance so be reasonable about the length of the option period that you grant a producer. I tend to like an option period of six months to no longer than four years. Never option the film rights for life. What you don’t want is your project sitting on a shelf somewhere gathering dust especially if you have other interested parties. If everything goes to plan; the screenplay is in place, the key creatives have been attached, there’s money on the table and a shoot date has been set, make sure your contract stipulates that you get paid on the first day of principal photography. Not on completion of the shoot, not upon distribution, not when Santa comes but on the first day of principal photography. If the catering can be paid, so can the writer. If you are also the screenwriter, credit gets you your next job. Your credit needs to be clearly defined and on all appropriate materials such as the poster, trailers and of course on the film itself. Try to avoid phrasing such as ‘The Producer will endeavor to…’ or ‘The Producer, to the best of their ability will try to ensure to…’. If the producer can guarantee their own credit, they should be able to guarantee yours too. You want to keep your writer/producer relationship positive and sometimes negotiations can leave a bad taste in your mouth. It’s always best to have an experienced representative to negotiate on your behalf. An agent is always is the perfect way to go, if you don’t have an agent, hire a lawyer or alternatively the Australian Writers Guild of the Writer Guild of America both offer services in this instance (if you are a member, which you should be!). Negotiations can be tricky so you need somebody in your corner who knows what your rights are. If a producer doesn’t want you to take their contact to either a lawyer or an agent, there’s a reason for that and even more reason to seek advice. Negotiations should not be nasty, you’re are seeking a mutually beneficial deal but if they do turn nasty remember, you own the project and you can do whatever the hell you want with it. Stay the hell out of the production of the film. Let the filmmakers make the film. Unless you have had substantial experience in film production you have very little to contribute on set and will ultimately get in the way. 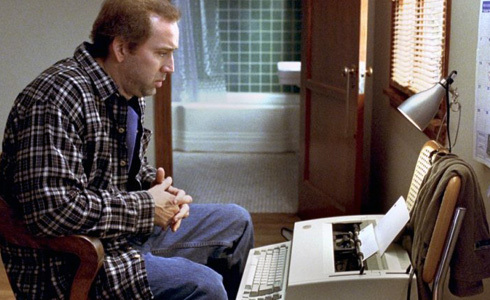 Your novel will always be your novel, but the film will always be somebody else’s baby. Respect that filmmakers are storytellers too and if they genuinely love your story, they are going to lay their careers and hearts on the line to see that story on the screen. This entry was tagged film industry, option, producer, screenwriting. Bookmark the permalink.